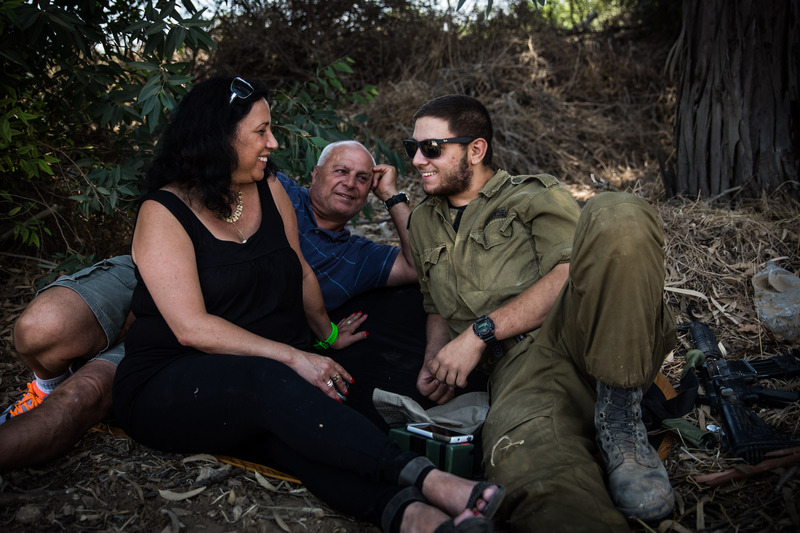 Ruty Friza (L) and Pini Friza (C) meet with their son, First Lieutenant Ziv Friza during a 12-hour ceasefire just outside the militarized zone near the Israeli-Gaza border on July 26, 2014 near Kafar Aza, Israel. After nearly three weeks of the Israeli operation 'Protective Edge,' around 40 Israelis and 856 Palestinians are dead according to recent reports. The 12-hour cease fire comes as diplomats around the world attempt to negotiate a permanent ceasefire.